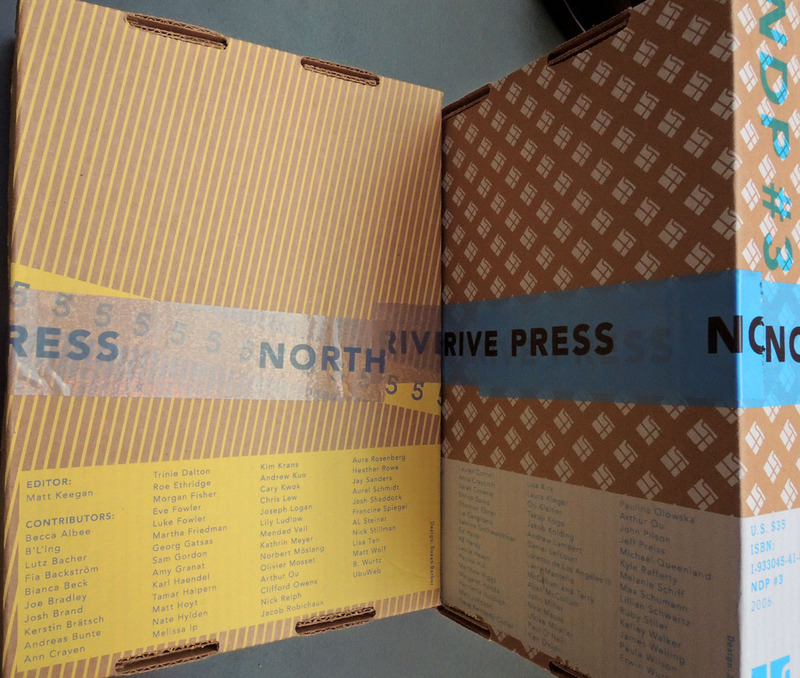 Founded by Matt Keegan and Lizzy Lee in 2003, the North Drive Press published its 5th and final issue in 2010. All except one of the annual publications are out-of-print and so, it was a wonderful surprise when #3 and #5 were donated to the Graphic Arts Collection by James Welling. 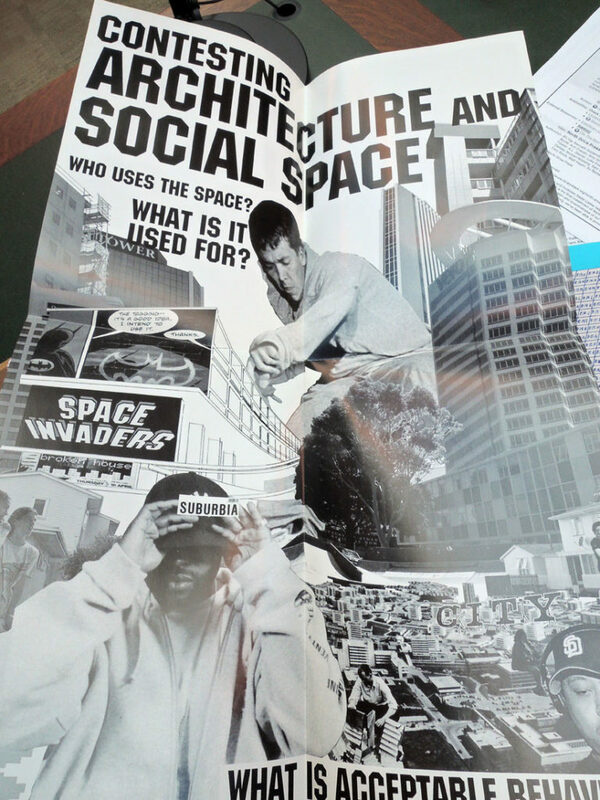 Both issues include work by current and former Princeton University instructors. “…North Drive Press has provided hundreds of artists and arts practitioners with the opportunity to produce and cheaply distribute new works in multiple form. The annual publication has included 7″ records, posters, books, ready-mades, soap, temporary tattoos, photographs, perfume, and more. Interviews and texts—a core part of the project—are conversational, experimental, and available on our website for free download. For NDP#3 and NDP#4, Sara Greenberger Rafferty, another artist committed to collaboration and artist-produced publications, joined North Drive Press as co-editor. 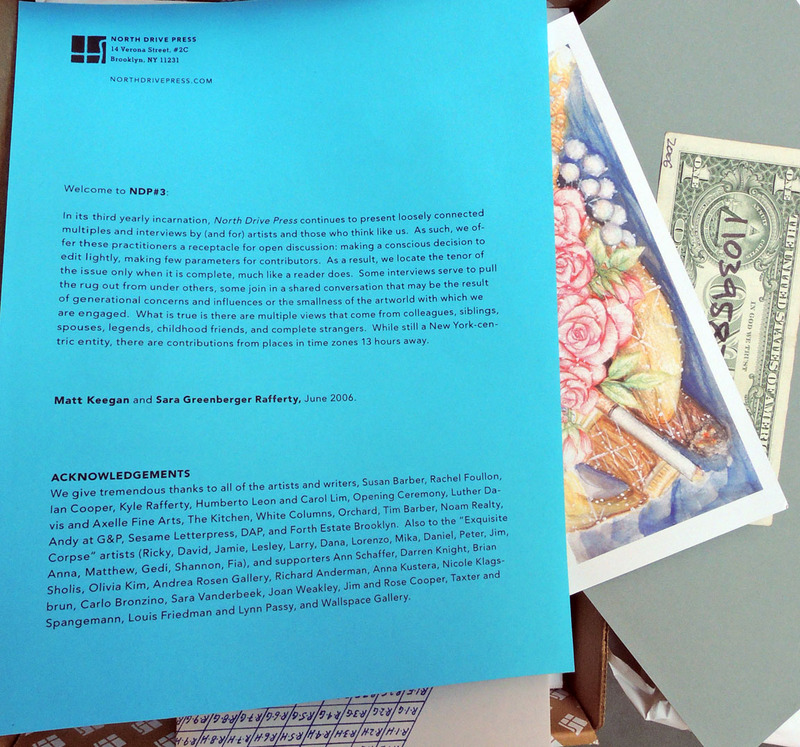 Sara and Matt expanded North Drive Press to include exhibition and print publishing programs—separate from but complementary to the annual NDP publication. They organized an evening at New York’s performance venue The Kitchen, published a suite of Exquisite Corpse prints, and exhibited at NADA and various other venues. 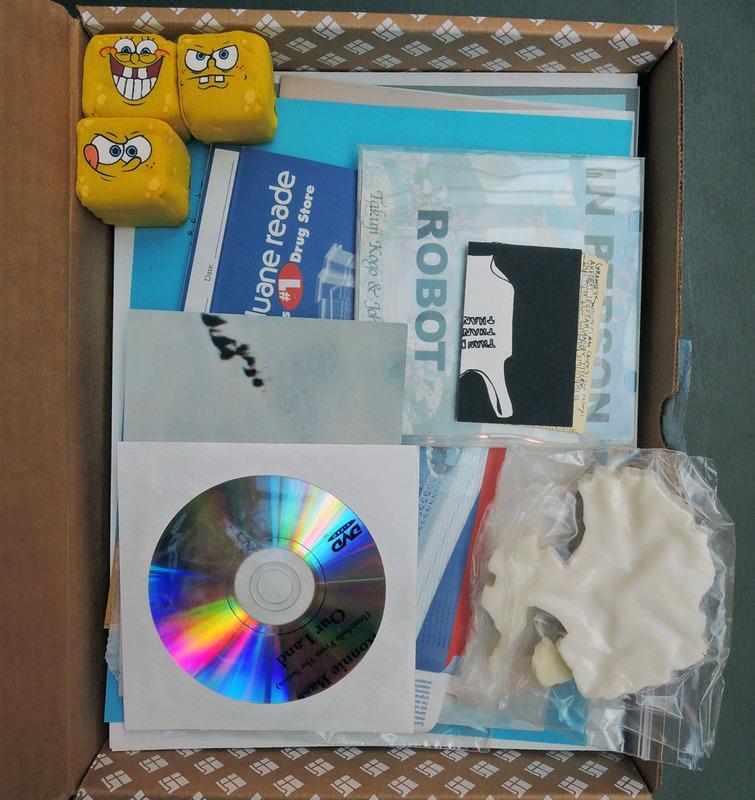 This entry was posted in Acquisitions, Artists' books on March 15, 2018 by Julie Mellby.